Mashing the grains in my brewpot. I brewed over the weekend. I was going to brew a version of my Copper Clipper recipe, which is just a lower-gravity, “summer” version of my Copper Ale recipe. However, I got better extract efficiency than I expected, so I ended up brewing the regular-strength beer. Oh well. One interesting thing about brewing is you never know when something you’ve never seen before is going to pop up. 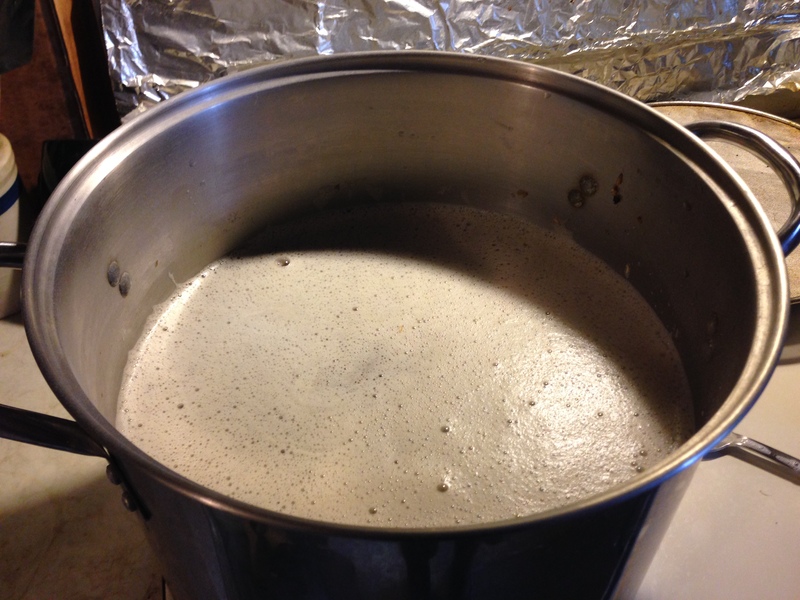 Most of the time, making a yeast starter is going to improve your batch of homebrew. In some cases, you can get away with pitching one homebrew-sized package of yeast, presuming the yeast is fresh. 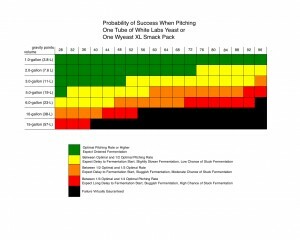 Earlier, I posted a chart of likely outcomes when a single liquid yeast package — containing around 100 billion cells (i.e. 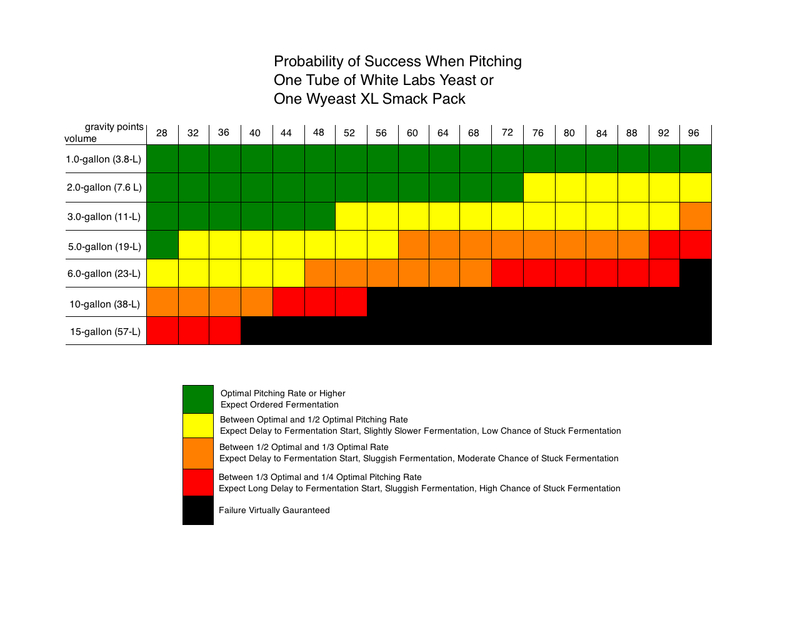 White Labs tubes and Wyeast XL smack packs) — is pitched. 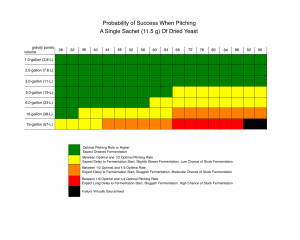 Today, I’ve included a chart for dried yeast sachets, which have somewhat higher cell count. However, there is a difference between getting away with something, and having something work optimally. And running the best possible fermentation is necessary if your goal is to brew the best possible beer. In this article, I’ll explain what I believe to be the best way to make a yeast starter. What happens if you pitch one package of liquid yeast (~100 billion cells) to ale worts of various volumes and “gravity points?” Gravity points are the last two digits in the three digits following the decimal point in specific gravity. For example, a wort of SG 1.048 is said to have 48 gravity points. Brewing the best beer possible requires the brewer to pay attention to each step during wort production and fermentation, and to execute each well. There are no “silver bullets” when it comes to making beer. In other words, there are no “do this one thing and your beer will turn out great every time” tricks to brewing — you need to do everything well to brew the best beer. There are, however, practices that consistently lead to better homebrew, when all other things are held constant. I would argue the most important of these is raising enough yeast for an adequate pitch. For most homebrewers, this means making a yeast starter. As with most techniques in homebrewing, there are acceptable ways to make a yeast starter and the best ways. Brewing decent, drinkable beer is fairly easy. Brewing the highest quality beer is somewhat more difficult. 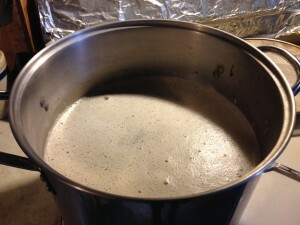 Previously, I’ve posted a variety of articles with specific suggestions on how to brew the best quality beer at home. Today I’m going to look at a more nebulous aspect of becoming a successful brewer — your mindset. The successful brewers I’ve met — both homebrewers and commercial brewers — are a diverse lot. However, they share a set of traits related to how they view their beer and their brewing skills. Hopefully, I can do this without venturing too far into phoney-baloney “motivational poster” territory. Personally, I think the “de-motivational posters” are much funnier. 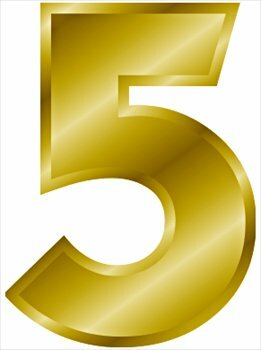 So with that in mind, here are the five habits of successful brewers.